Born Pretty recently sent me some of their leggings to try out! These leggings were actually really great quality! 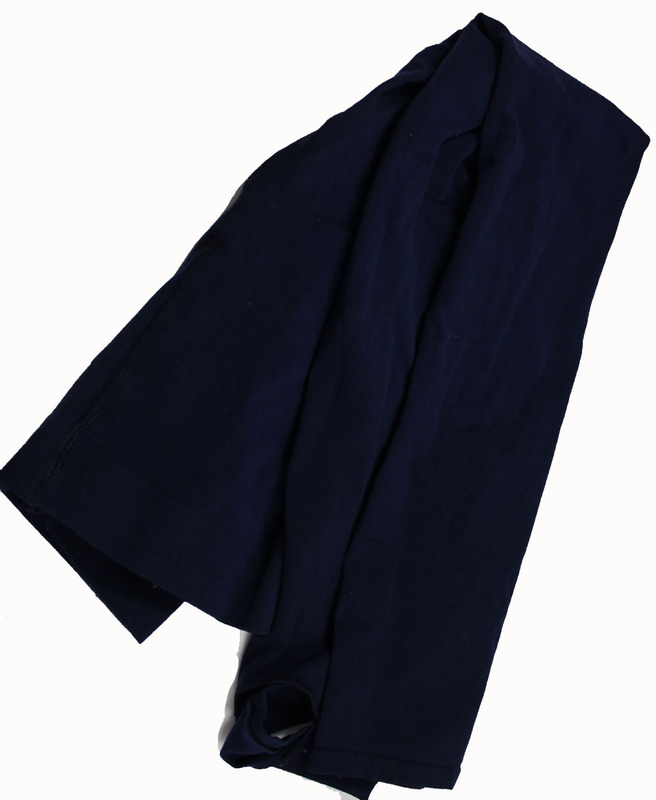 They were fairly thick and stretchy, and fit me perfectly! The only major downside to them was the color. They were supposed to be opaque black, but they look like they lean more towards a navy blue shade. I tried to pair these with a black dress, and the color difference was definitely noticeable! I'm sure I'll find a need for them in the future though, so I'm definitely glad I have these! These retail for $7.75 on Born Pretty! Here's a coupon code if you're interested in making a purchase! I have been blessed with another opportunity to host a giveaway for you all! 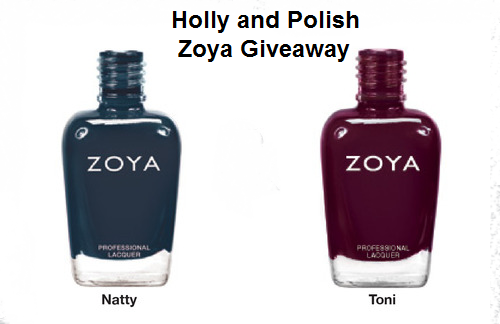 This time, one of you will win two Zoya nail polishes (Toni and Natty)! Thanks to Verve 360 Pittsburgh salons for providing these prizes! -This is only open to those in the contiguous United States! -Once a winner is selected and emailed, they will have 48 hours to respond. If I do not hear back from them within that time frame, I will select another winner. -You must leave a comment on this blog post stating why you want to try out these Zoya polishes! -This ends on December 31st at 11:59 PM CST. 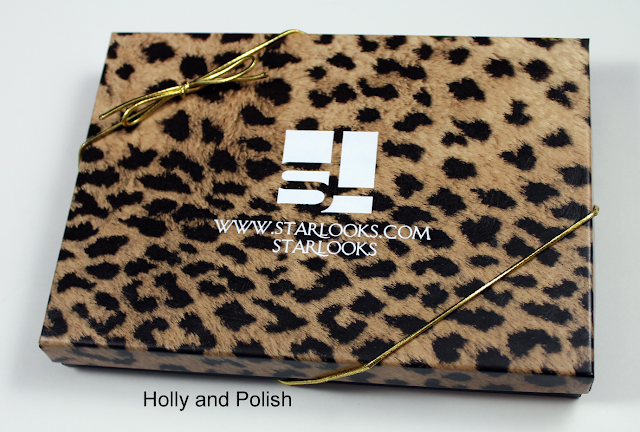 Today, I have my December Starbox to share with you all! 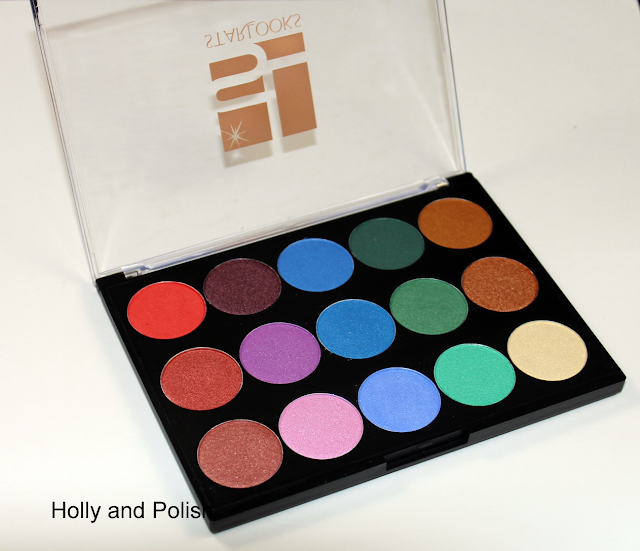 This month's box came with an awesome 15 color eyeshadow palette! This palette is sold for $99 on the Starlooks site, and the Starbox subscription is only $15, so this month's box was an amazing deal! 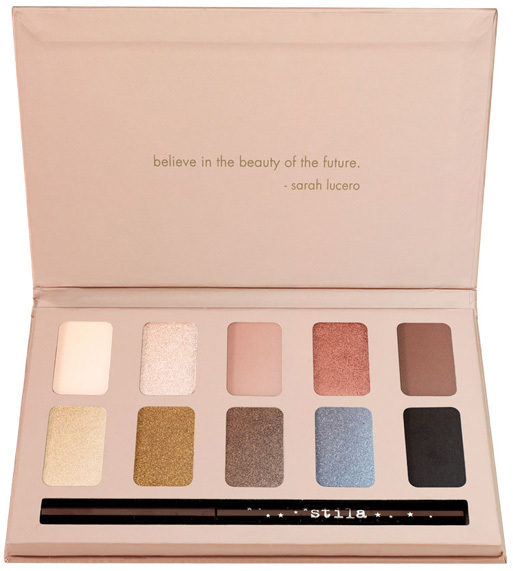 I've worn some of the lighter shades from this palette a couple of times, and I can safely say that the shadows are soft and blend well. They also lasted all day with some of my Urban Decay Primer Potion underneath! If you're interested in learning more about Starlooks or the Starbox subscription service, you can find more info here! Here are the people who won a $20 voucher to Firmoo!!! I have emailed all of the winners with their voucher code! Thanks to all of you who participated! If you didn't win, don't be discouraged! I have another giveaway going on right now and have a couple more starting soon! For those of you who don't know, I recently started a series that I will be writing posts on every so often that shares some of my favorite nail supplies. There are so many nail products out there, and not all of them work that great, so I think it's really helpful to hear about the products that other people love! 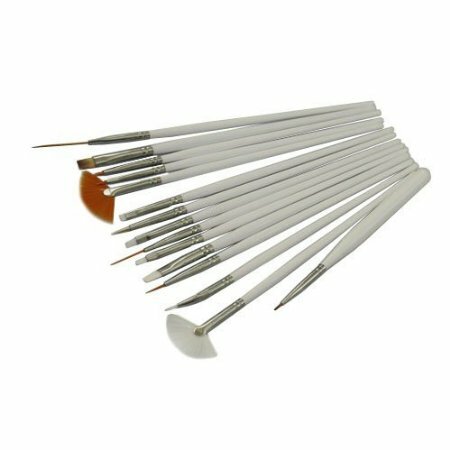 Today, I want to share a Nail Art Brush Set with you all! The set that I use is from Amazon, and it comes with 15 different brushes! I love how this comes with so many different kinds. With this kit, I pretty much have whatever kind of brush I could possibly need to create any design. These retail for just under three dollars, which I think is an awesome deal! Also, the quality of these is pretty good too! I've had mine for about a year now, and all of the brushes are still holding up great! If you're interested in ordering these, you can here! The lipstick I received was in the shade Cream Caramel! 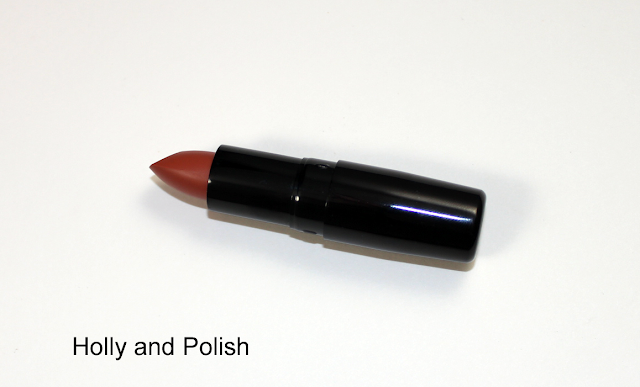 When applied, this actually came out to be a beautiful light mauve color with a slight hint of caramel to it. 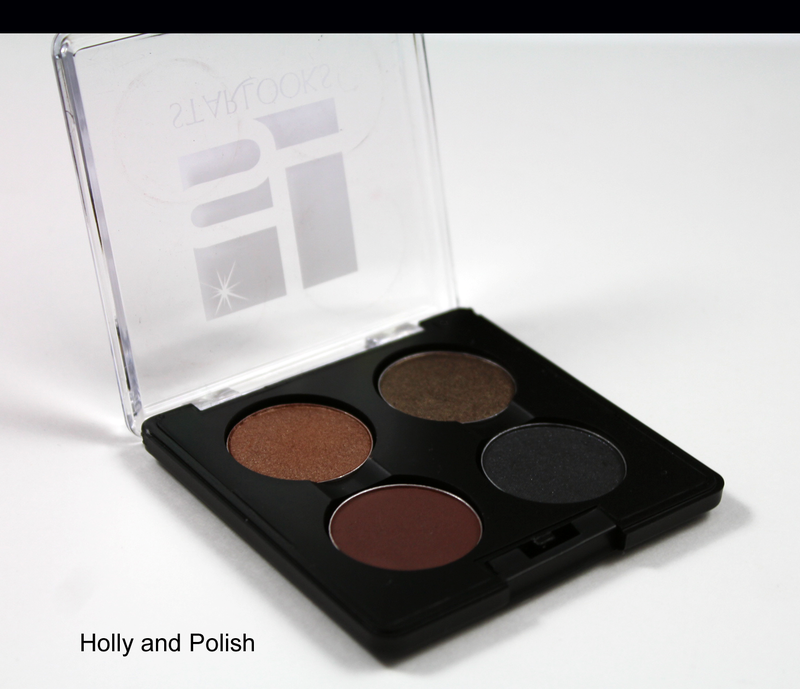 This color would definitely look perfect with almost any skin tone! 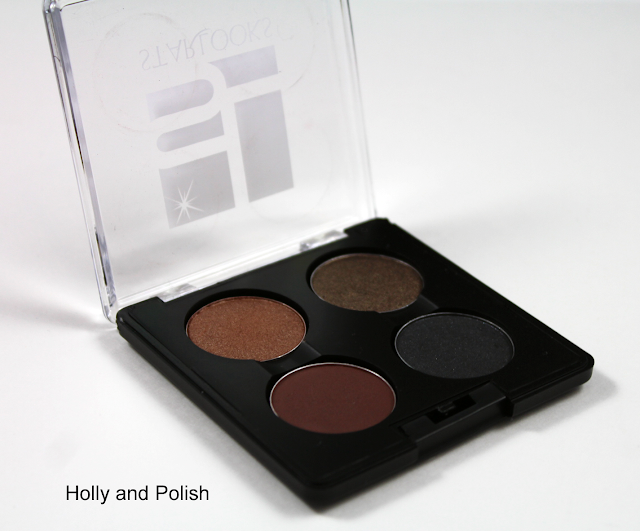 I received the eye brow kit in the shade bs443! There were actual names for each of the colors, but of course, I made the mistake of not looking at them before sticking them in the palette. Oops! Swatches for each of the colors are below! What do you guys think? Are any of you signed up to receive the Starboxes?! If you want to learn more about Starlooks or their Starboxes, you can click here! I posted a new giveaway a little over a week ago, and since I had the post go live on a Friday, I'm not sure how many of you actually saw it! For those of you who aren't aware, I am giving one of my readers the entire China Glaze Cirque Du Soleil Worlds Away Collection! This giveaway is open internationally and ends on the 31st of this month. If you haven't had a chance to enter, you can do so here! I have something very exciting to share with all! 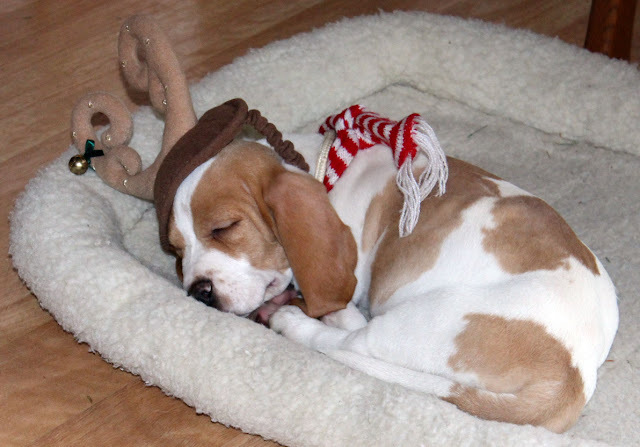 I got a puppy! 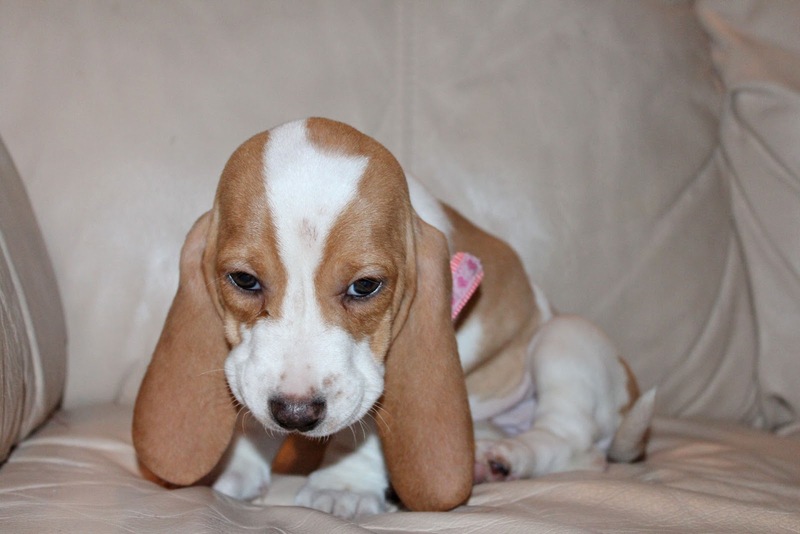 She's an 8 week old basset hound and is absolutely precious! I ended up naming her Beverly! I would love to find a way to incorporate her into some of my posts! 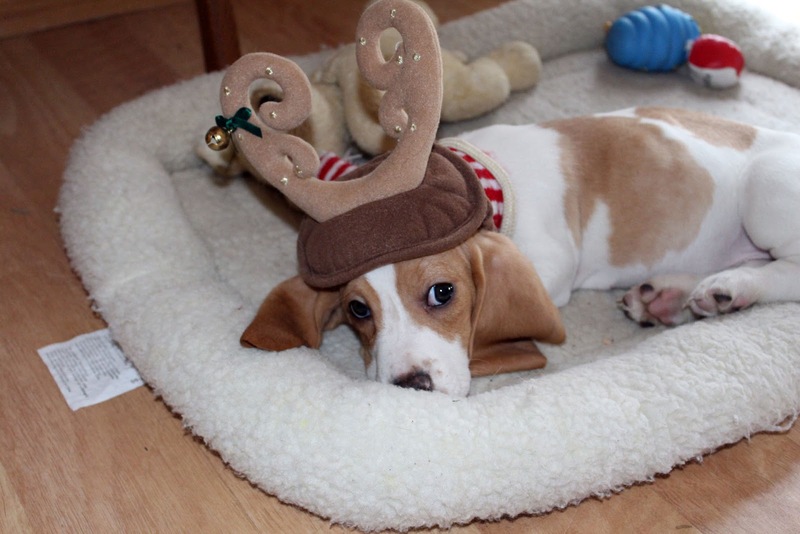 Maybe I'll just add some cute pictures of her into the end of some random posts, or maybe I'll do her nails! Have any of you ever tried the dog nail polish out? Do you know of any good brands that I should try? I was recently blessed with the opportunity to review a couple of products from the website coveryourhair.com! For those of you who have never heard of Cover Your Hair before, they are a great hair accessories online site! These clips are really cute, and actually have a lot more sparkle to them than what the picture shows. I pinned back some of my hair with one of these in the morning, and it stayed in place all day! These clips are a great way to dress up your hair style a bit! This scarf and hat set is really thick and comfortable. 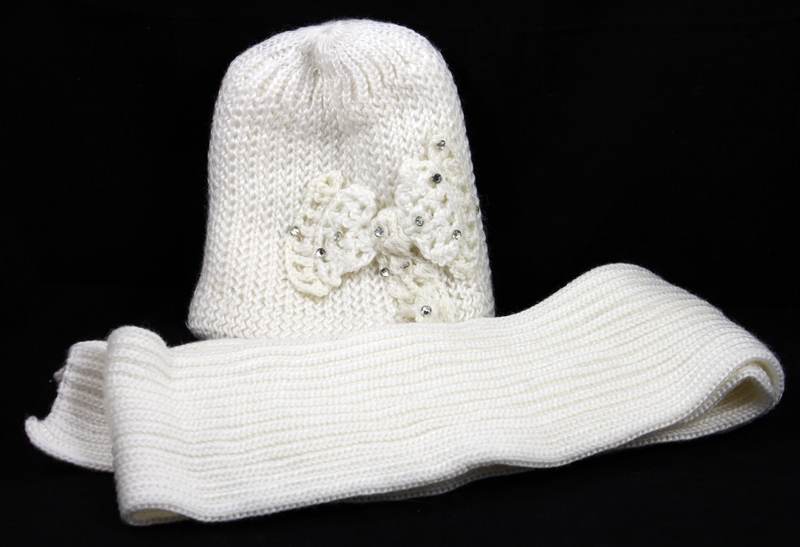 The hat has a cute bow with rhinestones on it that adds a little more detail. This set is available in six different colors. I would definitely recommend this! Overall, I think that the products I was sent are high quality items that I could see myself using often. Cover Your Hair has a ton of awesome products available, so you should really check them out! Today, I have a post for some of my younger readers! YoYo Lip Gloss just sent me three of their new glosses that are exclusives to the Justice Stores. While I am definitely way too old to be using a product like this (I'm 23), this is definitely something that would be a really cute gift for younger/middle school aged girls! These retail for $10 each at Justice Stores ($30 for the set)! China Glaze Cirque du Soleil Worlds Away Collection Giveaway! I was recently blessed with the opportunity to have another giveaway for you all! This time, one of my lucky readers will be given the entire China Glaze Cirque Du Soleil Worlds Away Collection! This colletion consists of the following polishes: It's A Trap-Eze, Whirled Away, Escaping Reality, Surreal Appeal, Def Defying, Running in Circles, Hanging in the Balance, Water You Waiting For, Creative Fantasy, Bend Over Backwards, Igniting Love, and Get Carried Away! I was recently given the opportunity by Influenster to review Crest's 3D Whitestrips! After trying the full 20 days of this product, I can safely say that I really liked it! 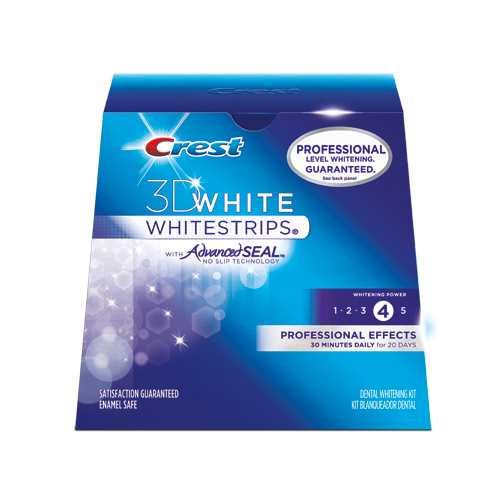 I have tried the orignal Crest Whitestrips in the past, and I think that these ones work much better and are definitely worth the extra cash! I found that they were fairly comfortable to wear, and you only had to have them on for 30 minutes/day, so that wasn't that bad at all! They were also really effective, and left my teeth noticeably whiter! These strips retail for approx. $30 and can be found at your local drugstore. While $40 might seem like a high price for a drugstore product, these strips are definitely a lot cheaper than what you would spend if you were to receive a professional treatment. I have also seen some coupons for these floating around in my Sunday paper, so there's a possibility that you could probably get them cheaper! Another month has already flown by, so it's time for another favorites post! Sorry for the delay on this! I ended up having vocal cord surgery this past Tuesday and haven't really felt up to blogging much! A lot of the products that were some of my favorites this past month were ones that I've had for a long time, but never really used much! 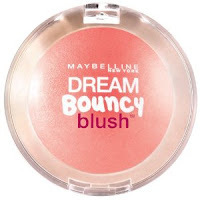 This blush has such an awesome consistency to it! If you lightly place your finger on it, it actually bounces! I've heard of some people who have a hard time applying this, but I've never really run into that issue. I just lightly drag my fingers on the blush in a circular motion for a couple of seconds and then lightly dab it on my cheeks. This has a nice beautiful look to it that's great for a more natural look! 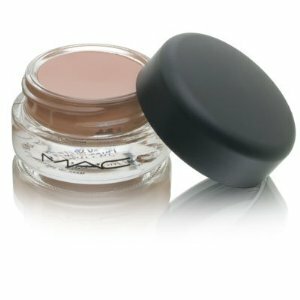 I had a couple of break outs this past month and really needed a nice concealer to help even out my skin tone. I really love this concealer because it's thick, yet gives a nice smooth look. I also have extremely light skin, and this blends into my skin perfectly without giving that awkward orange look that concealer can sometimes give. This was one of my favorite polishes to wear this past month! I just loved this dark teal shade and thought it was a perfect fall color! After applying some of my Urban Decay primer potion, I started adding a layer of this on my eyes before applying my shadows. This really made the colors I applied pop! I've been really into creating more simple/natual eye looks, and I hadn't used this palette in quite awhile, so I decided to use it more this past month. I really loved using the shades Champagne, Sunset, Sandstone, and Bare.